Enjoy clean fresh air by using Zontec's electronic air purification systems. 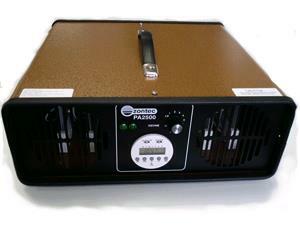 Rid your home or business of smoke from cigars or cigarettes. Clean your air using the power of a refreshing thunderstorm. Zontec ozone generators produce millions of molecules that attack and destroy odor, bacteria, tiny insects, mold and mildew. Purify your indoor environment without chemicals. No matter how difficult an odor Zontec machines can completely destroy all odor caused by most common causes. Remove odors and kill mold and mildew caused by fire and flood. With a flick of the switch Zontec Ozone Generators will go to work breaking down mold, mildew and odor molecules. The easiest and most effective way to deal with these problems all without all the messy chemicals and labor.